Treasury has reloaded its bazooka and stands ready to shock and awe the housing market. Though, Standard & Poor’s/Case-Shiller data showed a fifth month of improvement yesterday, analysts still expect prices to fall 10 percent or more next year as various government supports wind down. Political pressure ahead of midterm elections will likely force the administration to do something in response and Treasury’s Christmas gift of nearly unlimited support for Fannie Mae and Freddie Mac gives them a powerful weapon to do so. But it will be a tough fight as artificial, government-sponsored demand dries up. The housing tax credit — $8,000 for first-time buyers, $6,500 for move-up buyers — ends in April. Meanwhile, the Federal Housing Administration plans to tighten its loose lending standards as its reserve fund has dwindled. Moreover, mortgage rates may head higher as the government ends purchases of mortgage-backed securities. 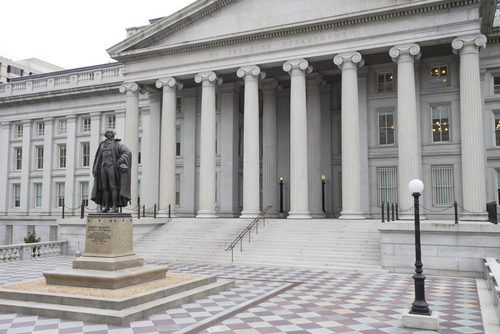 Treasury’s $220 billion buyback program ends this week. The Federal Reserve’s $1.25 trillion program ceases in March. And then there’s the continuing flood of Treasuries to finance the federal deficit. Morgan Stanley estimates that could drive 30-year mortgage rates back above 7.5 percent, an effective 40 percent increase in the cost of financing home purchases. That looks high, but even a smaller jump will drive buyers from the market and force house prices down. But the biggest threat may be foreclosures. Credit Suisse expects 4.2 million next year and says that 3.2 million must be prevented to keep prices stable. That’s a tall order, considering unimpressive results from modification efforts that mostly focused on extending terms or lowering interest payments. Banks, mortgage bond investors and servicers are loath to go further, by forgiving principal, because it’s either a direct hit to capital or tricky to do under current bond documents. Extend and pretend is less painful. Enter Fannie and Freddie. With unlimited support from Treasury the two have theoretically unlimited capacity to eat losses, useful to Treasury if it wants to finance an expanded modification program that includes principal forgiveness. It’s a tempting weapon to deploy ahead of midterm elections. But financing principal writedowns with taxpayer money only adds to America’s debt burden while rewarding irresponsible borrowers and lenders.